and loss of protective fat. I have written more than a few articles about the dangers of injecting cortisone into body parts, like tendons, ligaments, joints and muscles. Have a read here of one of my earlier warnings about these harmful injections. The photos look very similar to the ones in this article don't they? And here is the search string for a whole lot of articles I have written about cortisone injections. These injections can leave their victims suffering from visible deformities and ongoing structural weakness, including catastrophic rupture of muscles and tendons. These are not theoretical or rare - these are common side-effects of a surgical procedure that is enthusiastically promoted as the "quick-fix" panacea of all musculo-skeletal aches and pains. problems as she gets older. It is a surgical procedure that wannabe surgeons who never quite made the grade can employ. It is cheap, quick and easy to perform with a very good rate of financial return for the administering doctor. It fits with the criteria for most medical procedures of today - Fast Medicine! The adverse reactions to these injections are grossly understated. Why? 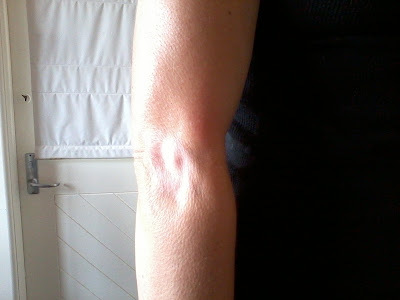 The site of the "tennis elbow" that was injected was the wrong spot! resolved with some firm deep tissue massage. Because the adverse effects such as deformity and tendon rupture may not be obvious, or happen until several months later. By which time the injury may not be linked with the cortisone injection. The doctor who caused the harm may be reluctant to acknowledge the link and even less reluctant to report it to officials (Less than 10% of all adverse medical reactions ever get reported: Some cynics believe the true figure to be less than 1%). 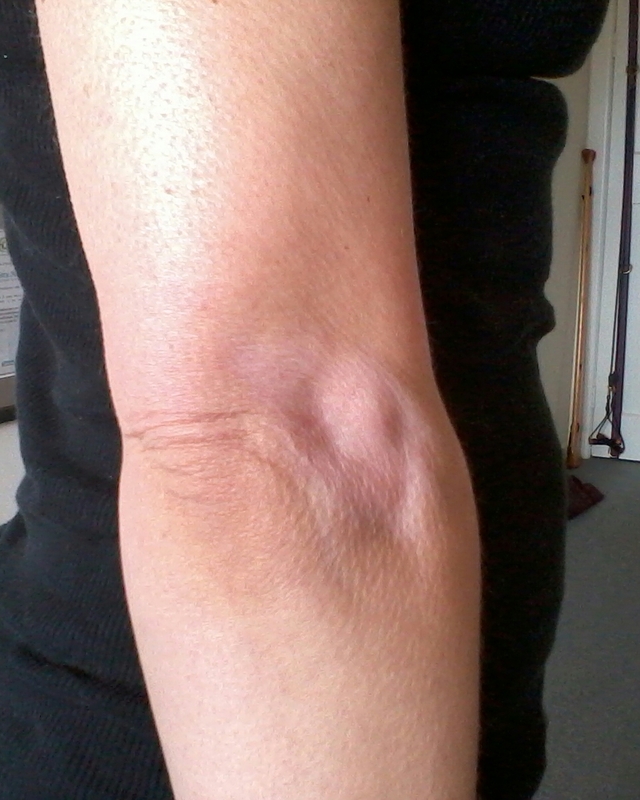 The drugs company that supplied the cortisone may dispute any attempts to link the procedure with cases of harm. Accident Compensation is the master at wiggling out of injury claims. It does this by hiring medical experts who are expert at turning real injuries into fictional degenerative processes. The patient usually does not have the nous, the time, nor the energy to take a case through to acceptance. her breath! It will be interesting to see how she gets on. hi there. 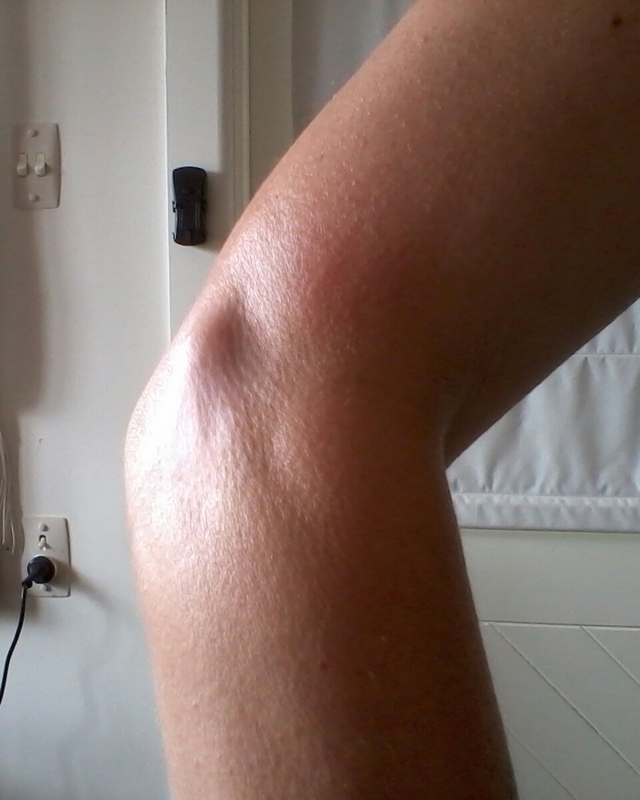 this had happened to me on my lateral knee. i had the injection 1 year ago which caused fat necrosis and skin discoloration. 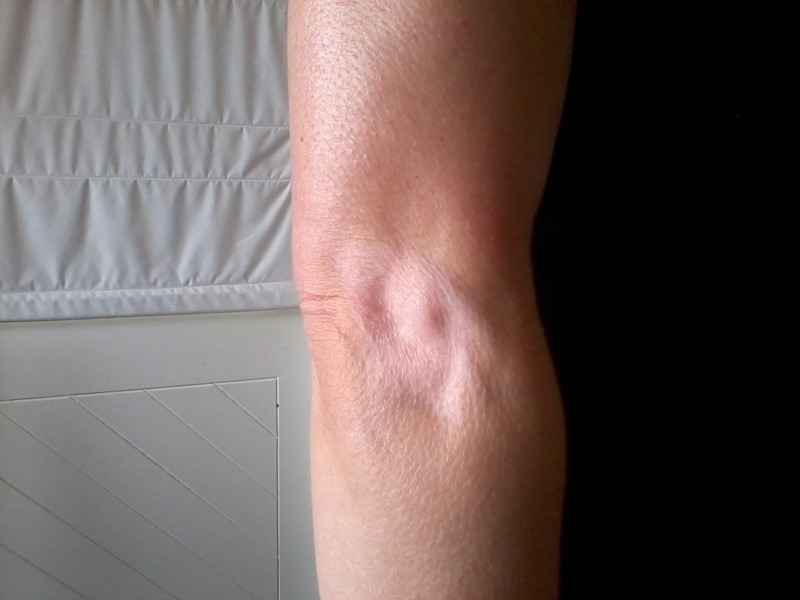 i have had ongoing pain with this knee. i was wondering if this is just purely cosmetic. or would the fat injections help with the pain? i have been told that the necrosis is just cosmetic. It can be more than cosmetic: The fatty pads around a joint provide protection for bone, tendons, ligaments, nerves and blood vessels against knocks and bumps. 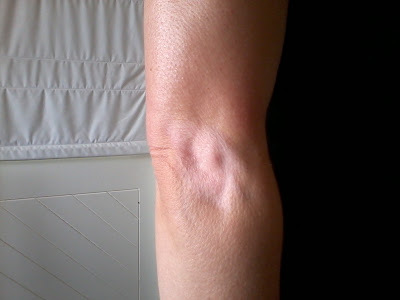 In the case of the fatty pad below the kneecap, this acts as a kind of shock absorber for the kneecap and patellar tendon during violent foot-strike. When assessing advice about these matters, apply commonsense and be naturally skeptical of reassuring murmurings from parties that have a vested interest in maintaining the status quo. Do you have any photos of the necrosis that we can post as a followup to this article? i have actually sent you photos in a private email a while ago i dont know if you still have them. do you think it would be worth while investigating the fat injections? i have suggested this to a couple of health professionals and they pretty much laughed at me. my necrosis is right over the fibula head and lateral joint line so i dont know if fat in this area is a necessary or not. Can you please send the photos again. Thanks and then I will comment. It is possible that the email was sent straight to spam. I will keep an eye out for it this time. Yes, please do send me your photos along with any relevant information. Use the contact details on my website to send the message and images. Thanks.